Anyone who sets out to consider the reforms of Pius XII in their historical detail cannot fail to notice the sequence of events linking them to the Novus Ordo Missae. For something to be an integral part of the liturgy, it must be an intrinsic element of those activities of which the liturgy is composed, necessary for its completeness, and one which the principal actor (the priest) cannot properly function without. Of course, § 21 meant that the prescribed texts must be sung in their entirety. Nevertheless, the impression is conveyed, through elliptical wording, that when the laity sings the liturgical texts, their “active participation” is as integral to the liturgy as the singing of the priest, his ministers and the choir. But that is a Protestant, not a Catholic, viewpoint: It was Luther who made the congregation and the choir equal in importance and held that the singing of the congregation was no less integral to the service. Even before he became Pope, when he was Bishop of Mantua and Patriarch of Venice, the future Pius X issued documents on Sacred Music. 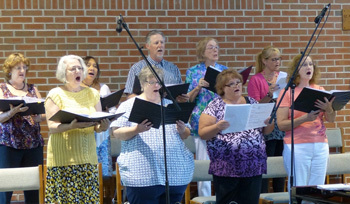 (4) It is interesting that while they are all practically identical in wording and content to the 1903 Latin motu proprio, none of them mentioned “active” participation of the laity – or even broached the subject of congregational singing. There is nothing comparable in any of the documents signed personally by Pius X, either before or during his papacy. He had always promoted the formation of male-voice choirs,  particularly among seminarians, and the instructions he issued in his motu proprio for training in Gregorian Chant were directed exclusively to clergy, seminarians and choirs. The only “active participation” he promoted for the laity was in the temporal sphere which they must infuse with Christian principles. The blame for this deviation from Tradition can be laid at the door of the “new theology” espoused by the Liturgical Movement – and later adopted by Vatican II – which rejected the clearly defined two-tiered clergy-laity paradigm and redefined the Constitution of the Church as a homogeneous “communion” of all the faithful. From this fundamental error, which disguises the difference in essence between the baptized faithful and the ordained priesthood, came the novel concept that the congregation had both the right and duty to sing or recite liturgical texts formerly reserved to the clergy. How did such a startling distortion of the clergy-laity distinction, reminiscent of Luther’s abolition of the priesthood, begin to take hold in the Church? 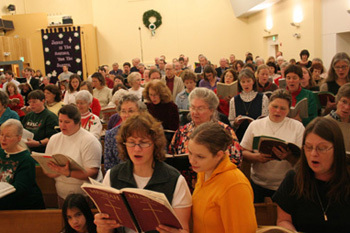 And all who exercise the role of singer – celebrant, clergy, choir, soloist, the congregation – do so as members of the assembly. The song of the assembly becomes ipso facto more important than that of any individual, including the priest celebrant. 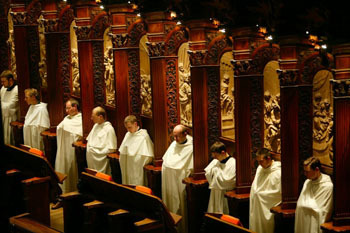 However, few today perceive the ideological nature of the engine pulling the Liturgical Movement’s train, or realize the deeper and more subversive issue for the Church – the diminution of the celebrant’s role in the Mass and the ease with which lay people could take over the ministry of priests. For, what was being impugned by the progressivist reformers from Beauduin to Vatican II was the right of the clergy to sing or say Mass – which is their divinely appointed role – without the people muscling in on the liturgical action. The inevitable consequence of the new liturgical theology was the declericalization of the liturgy to focus on the primacy of the assembly. Pius X, Vehementer nos, 1906, § 8. Pius X, Tra le Sollecitudini, 1903, §§ 13, 14. Ibid., § 12. We must briefly mention the popular reports of a letter, bandied around the internet, allegedly written by Pius X, before he became Pope, to Bishop Callegari of Padua. In it, he is quoted as favoring congregational singing in the liturgy even above polyphony. There are several different versions of the letter, each purporting to be the original text, and these are put forward as “proof.” But no archival source is given with which to verify the authenticity of the letter. Further research reveals that the letter originated from Pius X’s early biographers who each added their own creative interpretation to support their subjective idea of what the Pope must have said, so that the final telling is, as in the children’s game of Chinese Whispers, a complete distortion. Thus, a false “authority” is created to support an ideological position. 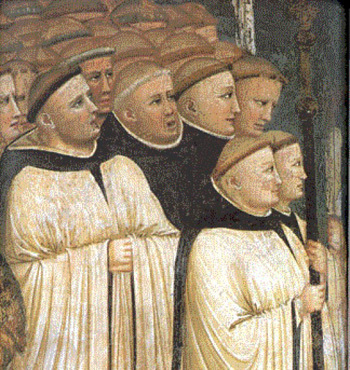 From the beginning of his priestly ministry – as curate in Tombolo, parish priest in Salzano, Bishop of Mantua and Patriarch of Venice – he formed choirs of boys and men, and personally trained them in Gregorian Chant.